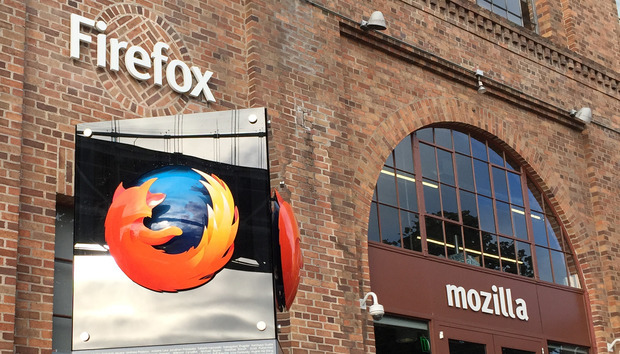 Mozilla confirmed that it is shuttering a group tasked with creating an operating system for connected devices, the category pegged as the "Internet of things," or IoT. It was the second defeat in 14 months for Mozilla projects aimed at producing commercial hardware products. "We have shifted our internal approach to the IoT opportunity to step back from a focus on launching and scaling commercial products to one focused on research and advanced development," a Mozilla spokesman said in an email reply to questions. The open-source developer will dissolve its connected devices project, and will instead "incorporate our IoT explorations into an increased focus on emerging technologies." The group's closure will result in layoffs, but Mozilla declined to name a number or substantiate claims by CNET, which earlier Thursday reported that the open-source developer would shed 50 jobs, or about 5% of its workforce. "There will be role eliminations as part of these internal changes as we need fewer and different roles as part of this shift in approach," Mozilla acknowledged. Some of those who worked on the now-closed connected devices project may move to other groups within Mozilla. Mozilla's IoT work grew out of the disbanding of the Firefox OS initiative in December 2015. Development on Firefox OS, an effort to create an operating system alternative to Android for low-cost smartphones, had been criticized by analysts, who even at its start thought it was futile trying to squeeze into a market that had solidified around Android, with Apple's iOS as a far-behind second in share. As Mozilla stepped back from smartphones, it shifted Firefox OS to connected devices. But that work failed to produce any commercially-available products. Best known as the maker of the Firefox browser, Mozilla has in years past cast about for other technologies to explore, and revenue streams other than Firefox's search-based income, which composes the vast bulk of the organization's revenue. But from in-browser advertising to Firefox OS, those non-browser projects have largely flopped. Firefox is now getting more attention, not less, Mozilla said, citing a growing employee tally working on the browser and claiming that it had gained both market share and users in 2016. According to Web metrics vendor Net Applications, Firefox's user share -- an estimate of the percentage of personal computer owners who ran the browser -- grew by less than 1% from the end of 2015 to the end of 2106. During the year, however, Firefox slumped as low as 7.7% -- from a January mark of 12.1% -- before climbing back to 12.2% by December. Mozilla has also touted recent improvements to the browser, including the first step in separating Firefox's operations into more than one CPU process, and trumpeted impending changes, including the new rendering engine, dubbed "Quantum," that's expected to debut in 2017.